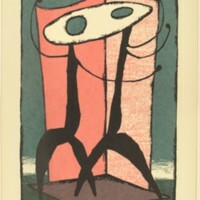 Screen print entitled "Katchina" by Louie Ewing. 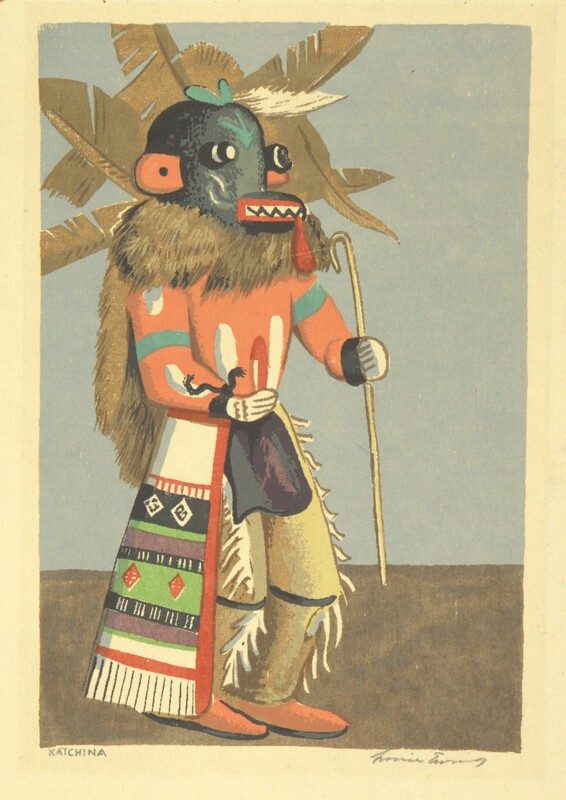 The color screen print depicts a figure in some kind of Native American dress with an animalistic head. There are large feathers attached to the back of the head. 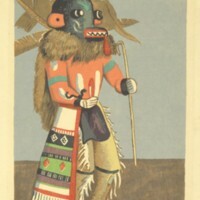 Ewing, Louie, “Katchina,” Digital Exhibits, accessed April 24, 2019, https://cuexhibits.wrlc.org/items/show/67.